Wong Jing wrote, produced and directed the 1998 film A True Mob Story, one of the many Triad movies released while the genre was still red hot due to the success of the Young and Dangerous series. Easily one of the better Wong Jing movies I've seen and it's a pretty good film all round. Supposedly, as the title suggests, based on a true story. I'm not entirely convinced of the validity of this. Andy Lau stars as Cheung Dee a triad living off an incident that made him feared and famous five years before, that also unfortunately resulted in his wife's death. Since then Dee has been promoted to a low level boss within the Triads, unfortunately for him the shine is wearing off and he's no longer the Triad he once was. Looking after his son and his wife's friend Ruby (Suki Kwan) has made him soft and there's no place in the underworld for a weak Triad. No longer commanding any respect, Dee is targeted by friend and foe alike. 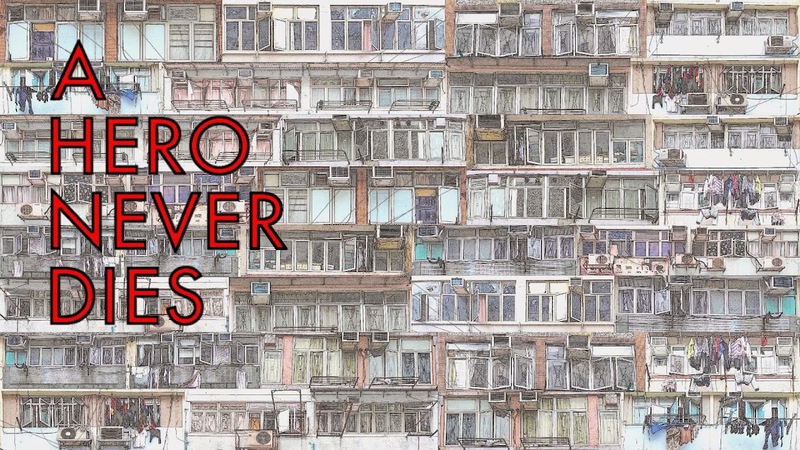 A distinctly unglamorous portrayal of the Triad lifestyle, this is quite different to many of the rascal movies being made at the same time. A much darker and (I can't quite believe I'm saying this in reference to a Wong Jing movie) more complex take on many familiar elements. 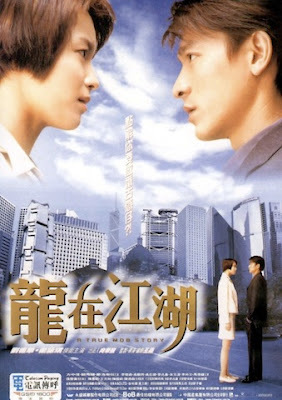 It isn't perfect by any means, with the story of Sandy (Gigi Leung) falling for Cheung Dee being particularly hard to swallow. The screenplay also has areas where, considering what has just happened to Dee's family and friends are just passed over to ridiculous effect. It also has one of the worst special effects shots I think I've ever seen, you'll know it when you see it. What it does have going for it are some excellent performances and a star turn from Andy Lau that carries you through the movies rough patches because he's so good. Rarely have I been so impressed with Lau, the complexity I spoke of before comes from his performance, Cheung Dee feels like a real person, where so many characters don't in this genre of movie don't. He's a mass of contradictions, in a way that most people are but film characters usually aren't. He's essentially a good person but a Triad at the same time, one minute he's heroic, the next he's cowardly etc. While the film belongs to Andy Lau, most of the principle actors are excellent with Mark Cheng as Dee's slimy boss Prince and Ben Ng as the fantastically evil Crazy Ball real stand outs. A True Mob Story's main fault is it's length, at 112 minutes it's just too long and could have done with probably 15 minutes trimming, it isn't a deal breaker but it did almost outstay it's welcome towards the end. I was really quite pleased with A True Mob Story, it's pretty impressive in most areas, especially the performances I singled out. The film's set pieces are also excellent, particularly the suitably vicious mass brawls that look pretty chaotic and unchoreographed, giving them a real feel of authenticity. While it does have flaws and a slight lack of focus on what it's ultimately trying to be, overall it's a triumph and I would recommend it to any fan of the genre. Glad you finally watched it. Great review, Andy Lau is excellent in it and does carry the film. The only character I had a problem with was Gigi's. Just a bad actress playing an one dimensional character. Lau often cites this film as an important one in his career because it put him back on the map after a series of flops. Dr.Lamb. Thanks, I really enjoyed it. Gigi's character was terrible, it shows how good Lau is in it due to the fact she doesn't sink the film. I can see Lau's point re. the importance of this film to his career, the following year he did Running out of time, one of his best star roles in my opinion. Anon. Yes it's frustrating as he clearly can make good films, but I think he's more of a business man really. I agree with you on Running Out of Time. Where would you rate Running on Karma? Thanks Kingwho? It's a really good film just slightly let down by the Gigi character/story. Really glad I picked it up. I wonder how Charles Heung felt about his life being cinematized. I would love it if someone interviewed about it.